London Open House is a much anticipated annual opportunity for the nosey, the obsessive and the interested to experience good quality buildings. Every year I make notes to self that I will book a look at the Foreign Office or snoop round a City bank vault, but every year I leave it too late. This year I was too late for a place on a tour of the New River Head Oak Room and missed the last entry to Bevis Marks synagogue by minutes. Following this near miss, I located the nearest open building – the pre-Great Fire St. Helen’s Bishopsgate where I was saved by a kindly tour guide conducting a party of pensioners on a tour of City churches from the earnest conservative evangelical Christians proselytising within. Her unsteady new disciples and I were offered glimpses and insights into Wren’s St. Peter upon Cornhill, St. Michael Cornhill, St. Clement Eastcheap, St. Edmund King and Martyr and finally Hawksmoor’s St. Mary Woolnoth – not bad for an afternoon. 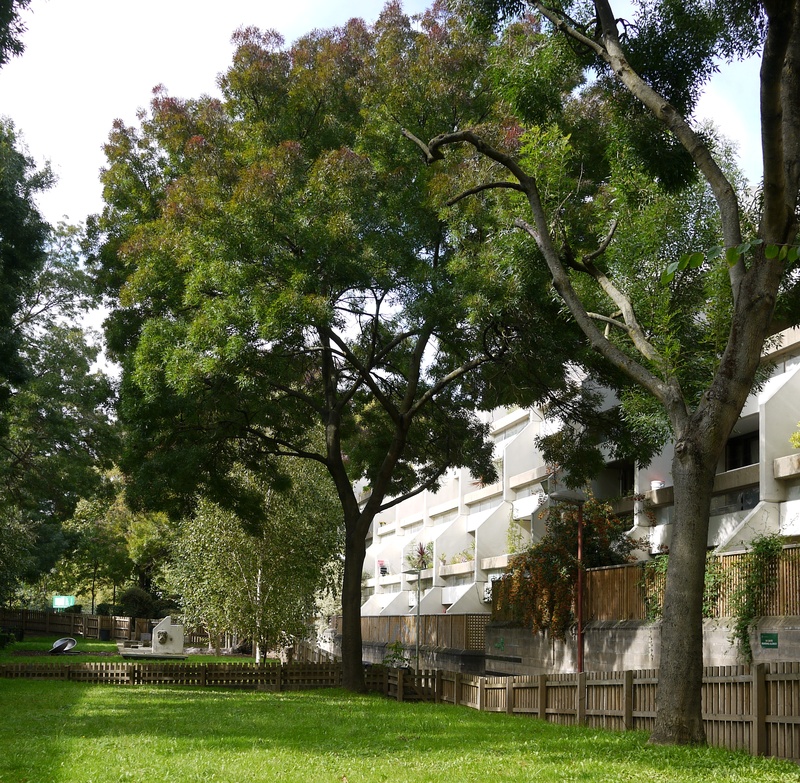 But I digress, the morning had been better: I made a trip to Stoneleigh Terrace, a fine example of modernist public housing demonstrating an uncompromising and unashamedly Utopian vision of how to live in a city. The estate – Highgate New Town, now more prosaically called the Whittington Estate, is one of the last flowerings of architectural post-war optimism in London having been completed only in 1979. Here there was a civilised approach to high density living with a clear masterplan underpinning the scheme and a visionary architect at the helm (Peter Tábori, a student of Ernő Goldfinger). Thought has been given to all aspects of the environment including a generous, now old-fashioned approach to the size of private and public spaces. Each of the 273 homes has a south-facing aspect and at least one private terrace. The public planting is also noteworthy, in the 32 years since its completion the estate has developed a canopy of mature trees, mostly the ‘Raywood’ cultivar of the Caucasian Ash (Fraxinus angustifolia subsp. oxycarpa) which seems to be a favourite of Camden council’s horticultural department, and some fine specimens of Northern Catalpa (Catalpa speciosa). The trees soften the hard modernist edges of the architecture and lend it a sense of maturity and dignity. Highgate New Town or the Whittington Estate is a development built on principals of integrity over profit and would I suspect be an environment the architects themselves would want to inhabit.